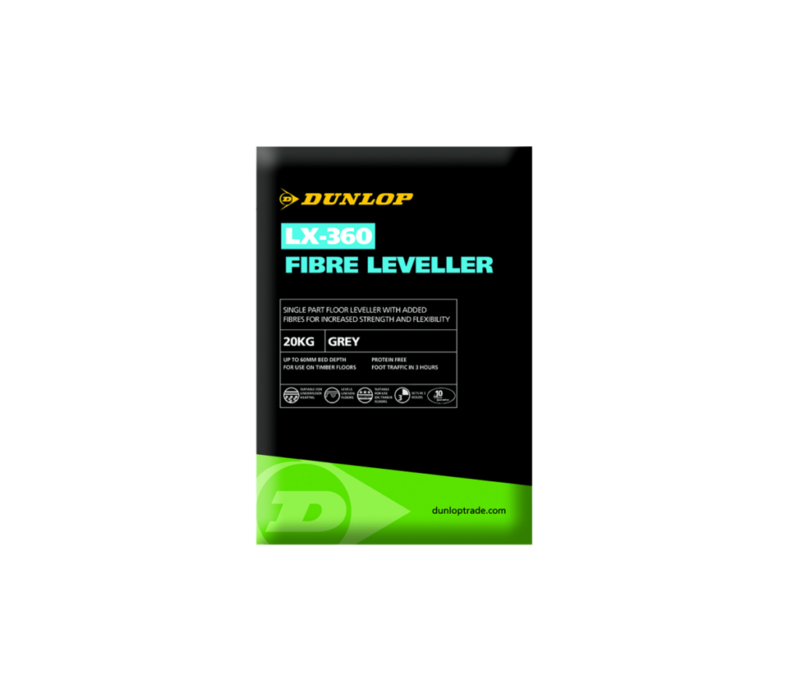 DUNLOP LX-360 FIBRE LEVELLER is a single-part floor leveller with added fibres for increased strength and flexibility. Suitable for preparing interior floors in dry areas prior to laying sheet and tile soft floor coverings, carpet, natural stone and ceramic tiles. 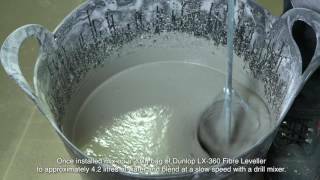 Can be used on both absorbent and non-absorbent interior floor surfaces including timber, concrete, cement:sand screeds, terrazzo, asphalt, quarry tiles and old but sound adhesive residues. It can be laid at depths from 3mm up to 60mm in one application. Ideal for use with underfloor and undertile floor heating systems.